This map appears in The Origins of the Urban Crisis by Thomas Sugrue. It is often easy to forget that most of what is exciting and “happening” in Detroit today once represented the pinnacle of the Black middle class in America. 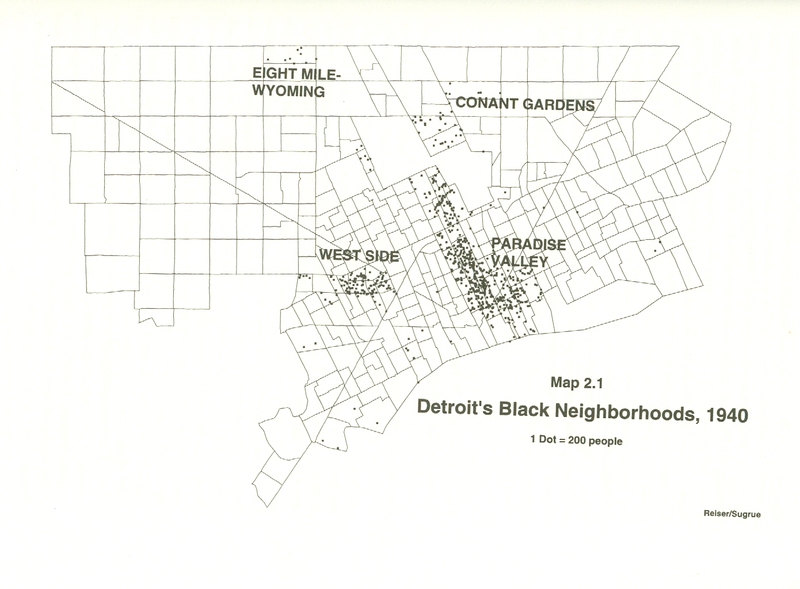 Paradise Valley, extending from the Riverfront nearly to Highland Park, grew after Black migration to Detroit after WWII. It was a hot spot for music, entertainment, and also the seedy covert businesses that go along. The flip side of all of this was that these areas were also representative of the worst housing and conditions because Blacks were not allowed to live or buy homes anywhere else. This often led to overcrowding, disease, and concentration of poverty. This was the oldest housing and prone to fires. Sugrue notes that Paradise Valley represented 12% of the city’s housing, but one third of all fires. The Lower Eastside was also referenced as the “rat belt” because there were 206 rat bites between 1951-52. The Westside neighborhood around Tireman and Grand Blvd. was where many sought to get away from the overcrowding. These families represented more upwardly mobile black families (ministers, business leaders, professionals) who took great pride in their “high-level” homes and neighborhood. Eight Mile-Wyoming was an area settled by Black migrants in the 1920s when it was still empty farmland. Families built temporary homes and usually farmed the adjacent vacant lots. Conant Gardens was considered the most exclusive Black neighborhood where residents had the highest incomes and the majority owned their own homes. Residents here actually sided with White homeowners in opposing the Sojourner Truth housing complex because it would bring down their exclusive status. Source: Sugrue, T. J. (2005). 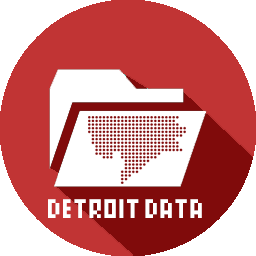 The origins of the urban crisis: Race and inequality in postwar Detroit. Princeton University Press.